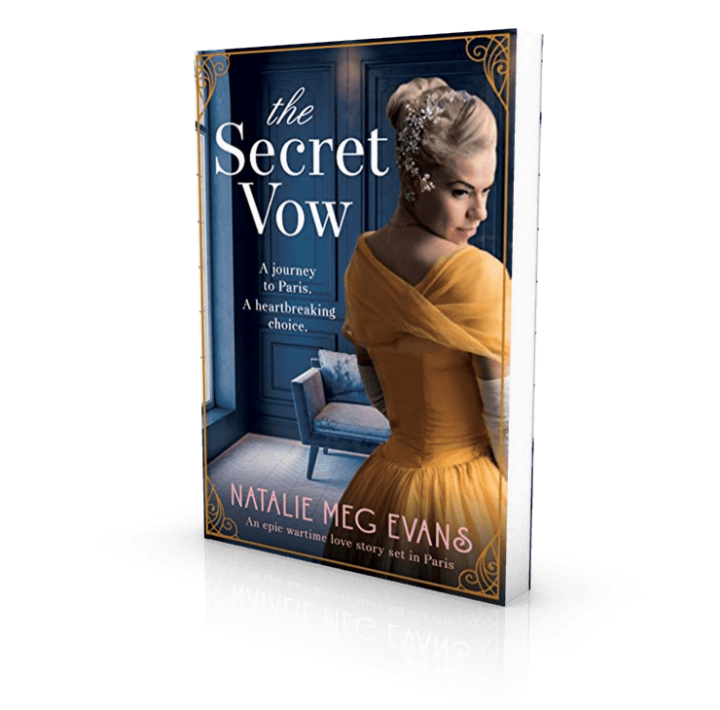 The Secret Vow by Natalie Meg Evans is out now! Katya – young, friendless and impoverished – arrives in Paris to begin a new life. Forced to leave her beloved sister behind, she is hiding a terrible secret. Her survival in this strange and beautiful new city depends on nobody ever discovering who – and what – she is. Immediately, Katya is swept up in the city’s atmosphere. If she is to rescue her sister, she must first find a way to live… but how, when she’s got no connections and not a centime to her name? Katya gravitates towards the main boulevard, where glittering gowns are hand-sewn for an exclusive clientele. Could she ever learn to design one of these dazzling creations? It feels like an impossible wish, until she meets the well-connected but mysterious businessman Harry Morten. Harry could give Katya everything she wants and more… but at what price? And should she break the vow she’s made and trust him with her secret when her very survival could be at stake? From the bestselling author of The Milliner’s Secret and the award-winning The Dress Thief comes a glittering wartime romance with a dark secret at its heart – perfect for fans of Kathryn Hughes, Gill Paul and Tracy Rees.